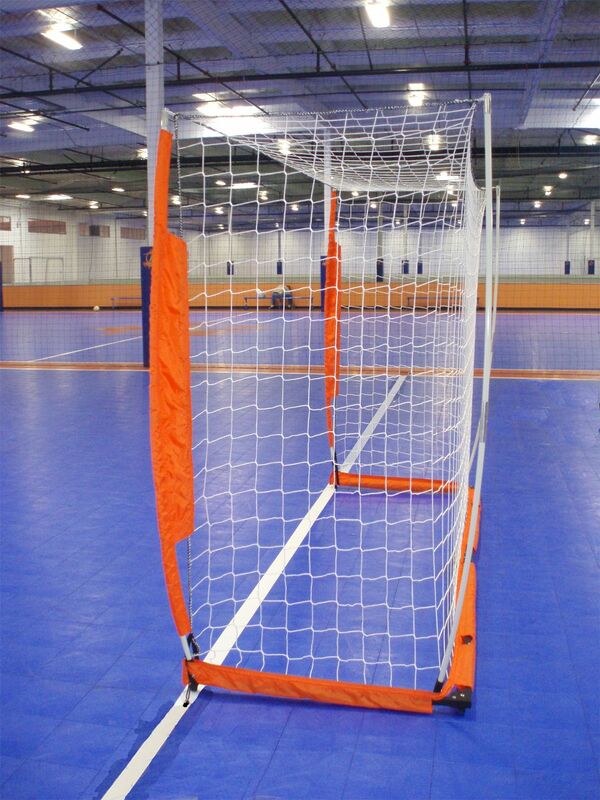 This portable futsal goal is ideal for futsal (also known as indoor soccer) games and/or practice. 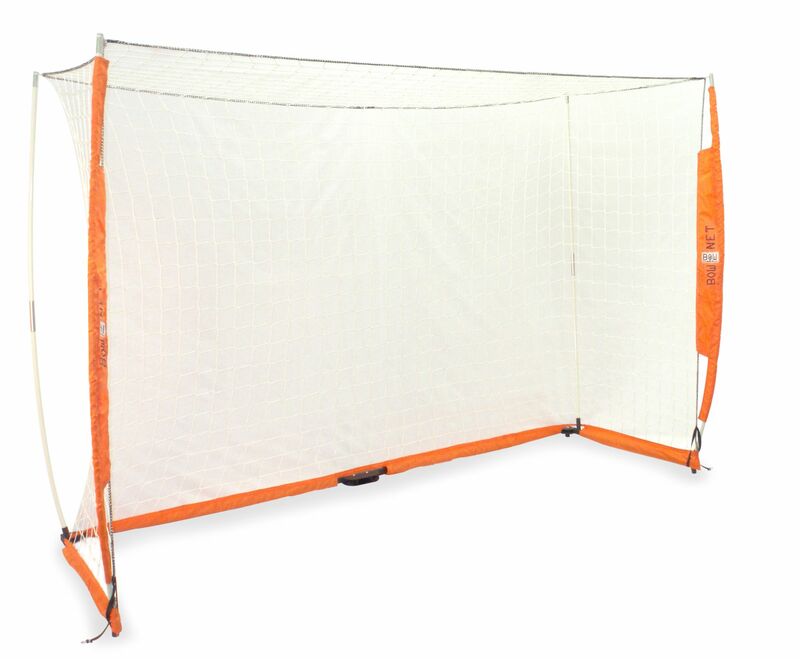 Measuring 2 meters by 3 meters, it is the standard and official size for futsal goals and is a breeze to assemble, take down, transport and store. Despite its light weight, this futsal goal is incredibly durable and can withstand the toughest of kickers. One person can easily set this up with no tools - it simply snaps into place. The net is made from UV-treated, knot-less poly. The bars are made from powder coated steel pipe with fiberglass bow poles, hence the "bow." 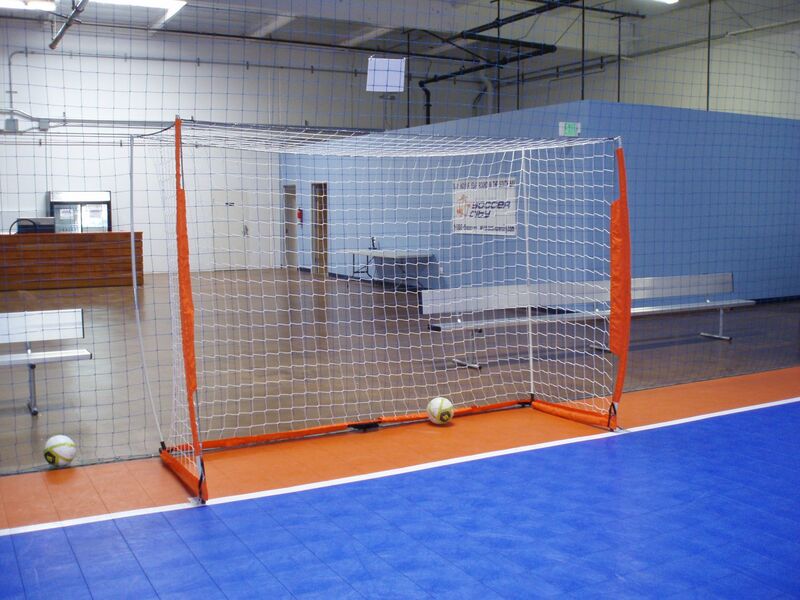 This portable indoor soccer goal comes with a FREE Carry Bag too! FREE Carry Bag Great for transporting and storing your goal. Includes Stakes Easy to secure if using on grass or dirt. Easy to Setup A breeze for one person to setup - no tools needed. Fast Setup Time Completely setup in less than 3 minutes.